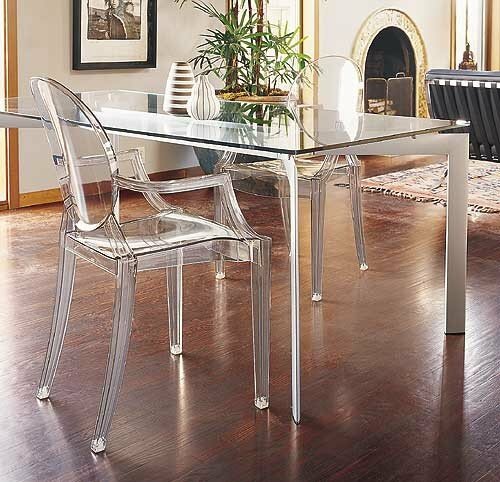 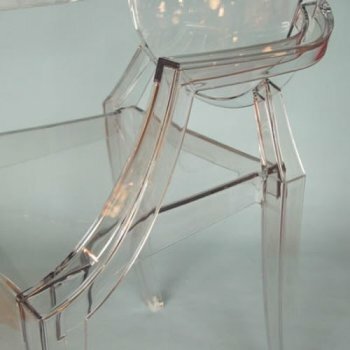 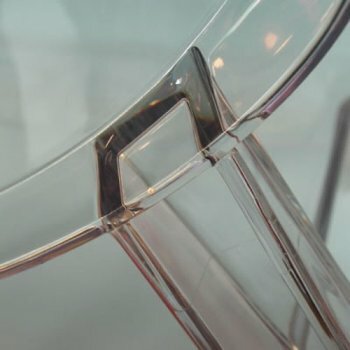 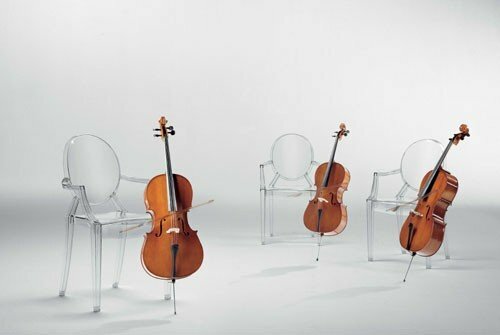 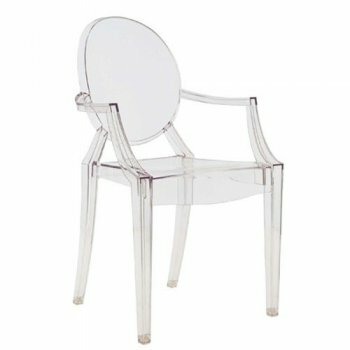 A comfortable armchair in transparent and coloured polycarbonate in the Louis Ghost style, it is the quintessence of baroque revisited to dazzle, excite and captivate. 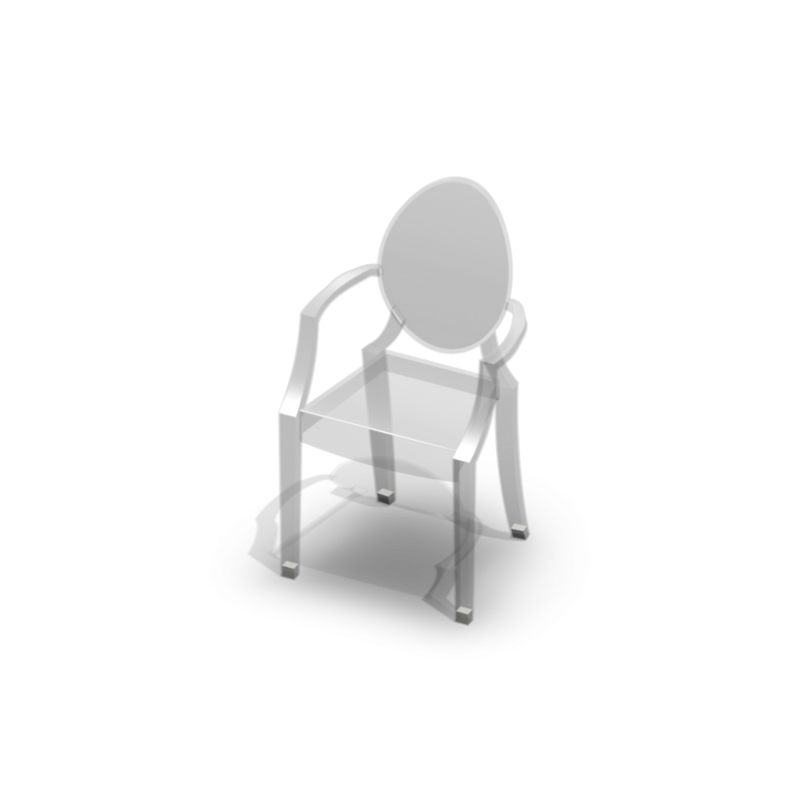 The original idea from Philippe Starck was first created for the furnishing project of the Kong Restaurant in Paris. It's an elegant curved glass replaces old zinc in the roof of the Kenzo Building in Paris.